The Cathedral of Saint Mary of Toledo (also called Primate Cathedral of Toledo, Spain) is one of the three 13th century High Gothic cathedrals in Spain. 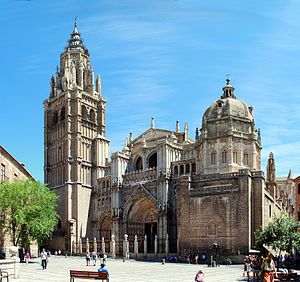 The Toledo Cathedral was one of 100 finalists for the 12 Treasures of Spain in 2007. ↑ "Miembros del Cabildo (The Primate's Chapter)" (in Spanish). catedralprimada.es. Wikimedia Commons has media related to Cathedral of Toledo. 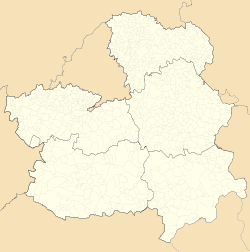 This page was last changed on 25 February 2019, at 17:41.